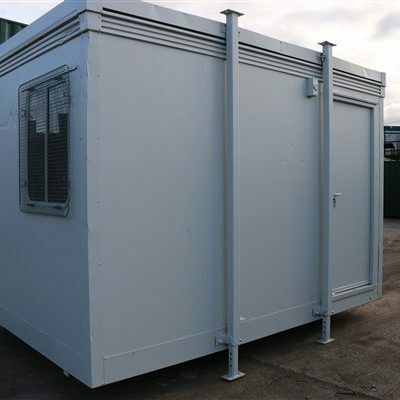 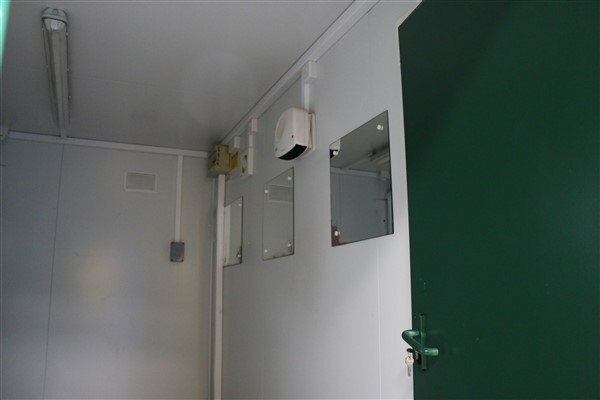 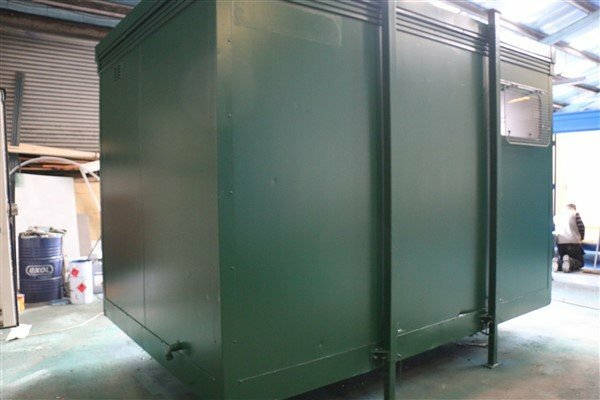 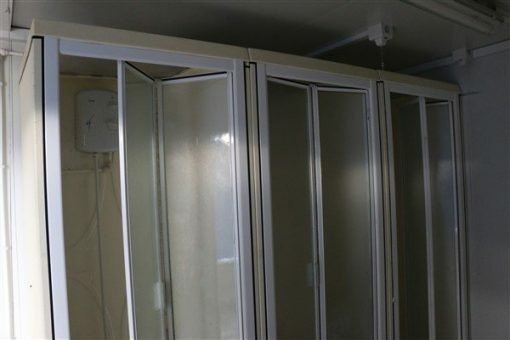 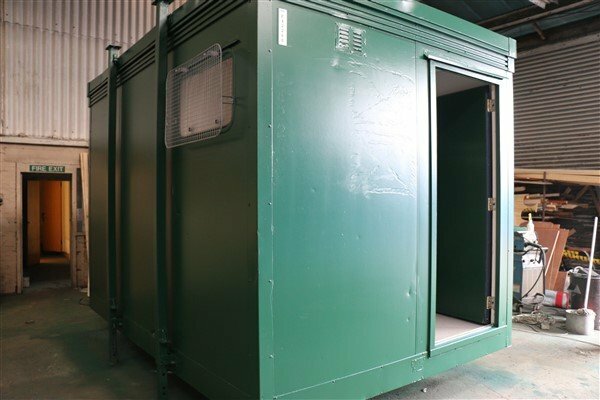 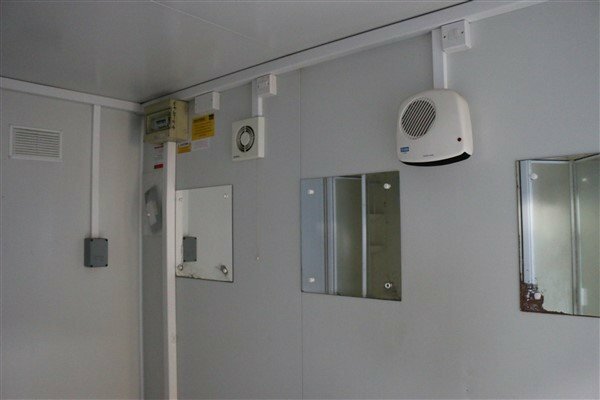 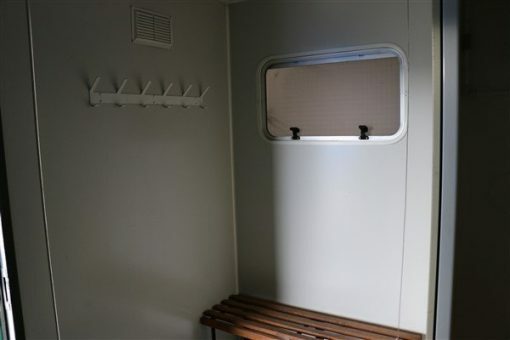 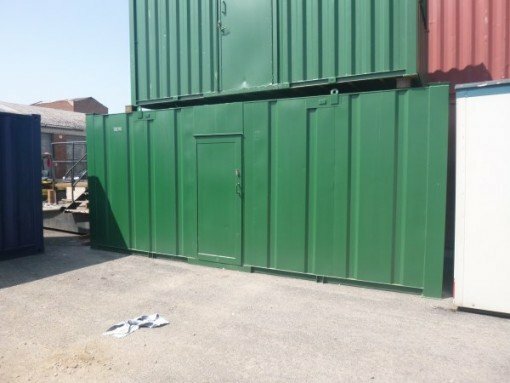 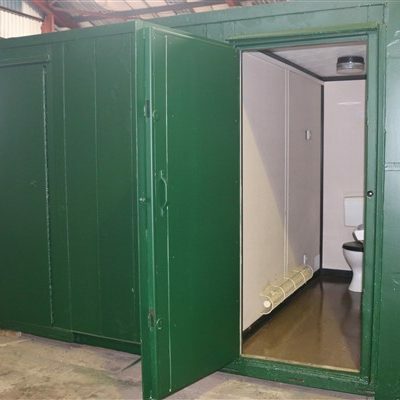 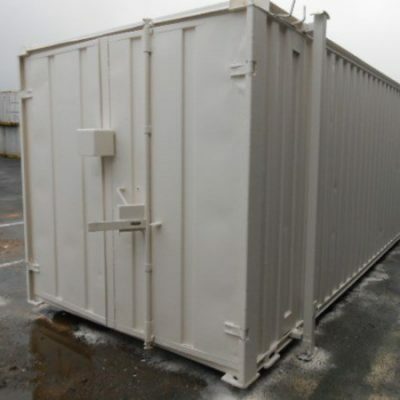 This is one of Container Cabins Quality Plastisol Used Portable Shower Blocks, it is a jackleg model and can be used to facilitate your portable showering needs. 12ft x 8ft three bay Shower unit. 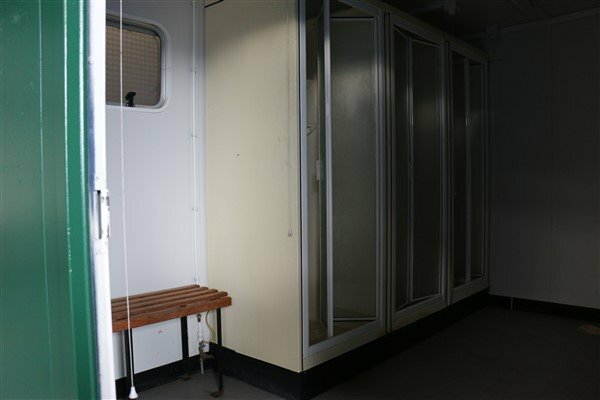 Fitted with three shower cabinets.